RAHIM YAR KHAN (ENN) Six employees of a restaurant fainted after taking suspected poisonous dinner here on Friday. 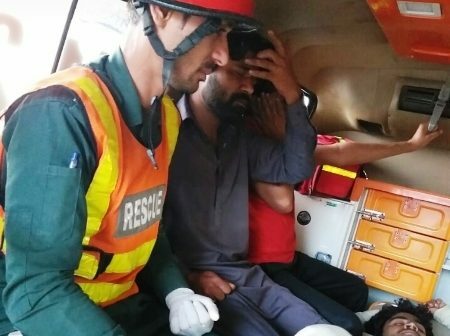 According to Rescue 1122 sources 6 employees including Akbar 19, Muhammad Asghar 16,Allah Dewaya 22 residents of Kot Samaba, Allah Buksh 40 of Jamal Din Wali,Muzaffar Hussain 24 of Chak 75-P and Ghulam Murtaza 28 of Ahmed Pur Lama were employees of New Hussaini Restaurant at hospital road. 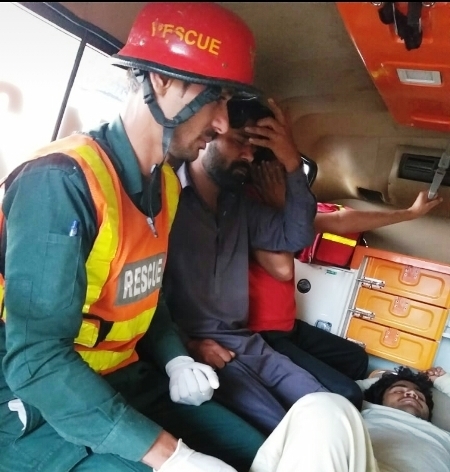 On Friday early morning all the employees were fainted.Rescue 1122 personals immediately provided them first aid and shifted to Sheikh Zayed Medical College Hospital (SZMCH) where 2 were to be told in critical condition. Some neighboring shopkeepers told reporters that there was a doubt that all these employees were fainted due to poisonous gas produced by a generator kept at the upper floor of the restaurant. The shopkeepers alleged that Punjab Food Authority (PFA) officials did not regularly check the restaurants and eateries at hospital road which were very close to the SZMCH premises. SZMCH focal person DMS Rana Alyas Ahmed told that all the food affected patients were discharged after treatment. He said that Dr Waqar at emergency confirmed that all the patients were affected with food poisoning.